This week I’m returning to the studio energized by the excitement of painting a community mural. I’m greatly inspired by my compatriotas Carlos Merida, Diego Rivera, José Orozco, Siqueiros and the Mexican mural movement of the 1930’s that brought art to public places as a cultural, social and political tool. In 1989 I worked to develop a mural style that would invite people with or without formal art training to participate in the monumental process of creating murals. 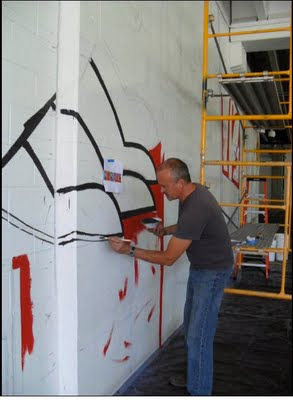 The initial murals were part of the Urban Art Trail project to reclaim the East Village neighborhood of downtown San Diego where I live and work using art. 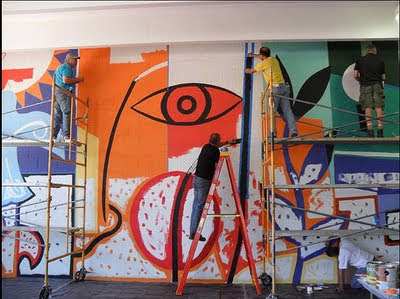 I believe that Iarge, public murals can bring a sense of place and engage residents of the neighborhood. 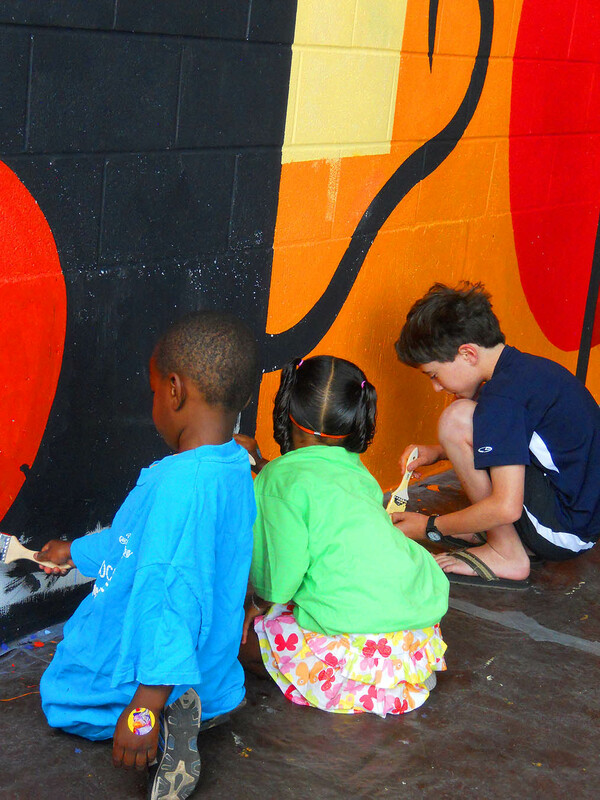 Involving the community in the art making creates a genuine sense of ownership. 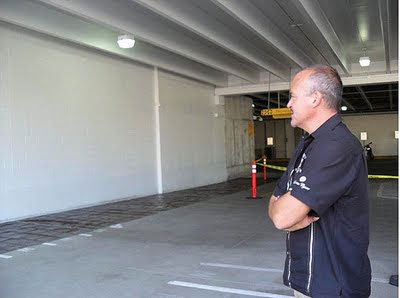 Here I am meeting the wall for the first time and taking in the scale of the space. 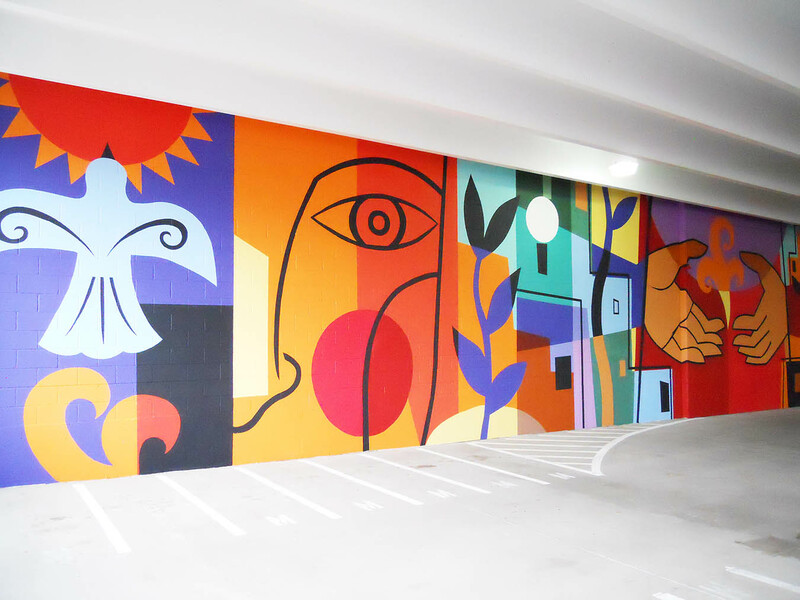 The 61 foot long by 15 foot tall mural is at the Civic Center Parking Structure located on Mason and Laporte Avenue in downtown Fort Collins. 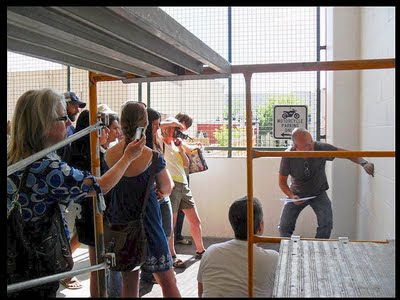 Demonstrating to the team how to transfer the original drawing into the large scale mural once the grid has been snapped. 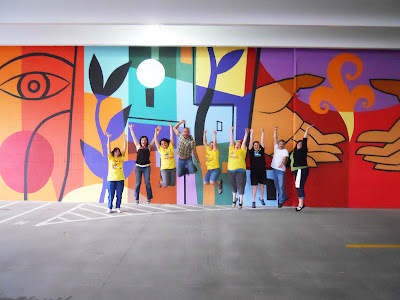 A challenging aspect of mural painting is working with the architectural elements of a space to create a composition and concept that integrates with a location while communicating an authentic spirit and purpose. A year ago I met the amazing Irene Romsa at a book conference at the University of Alabama. 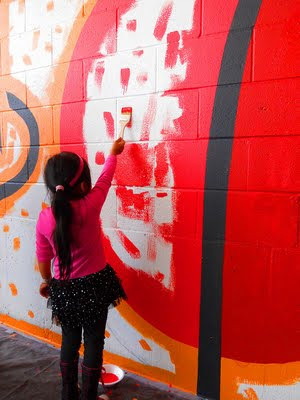 She talked about a unique outreach program Rincon de Cuentos that brings bilingual storytelling, theatre, and puppetry to underserved communities. The goal of the program is to promote literacy and help these families discover the library. I knew I wanted to contribute my work and time to support these efforts. 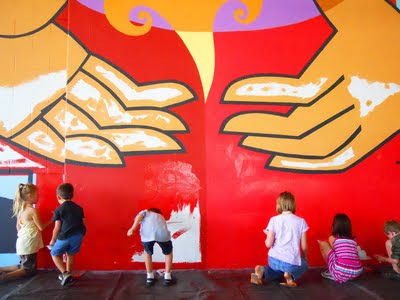 On June 17th, 125 children and community volunteers came together to breathe life into the mural celebrating unity, art and renewal. 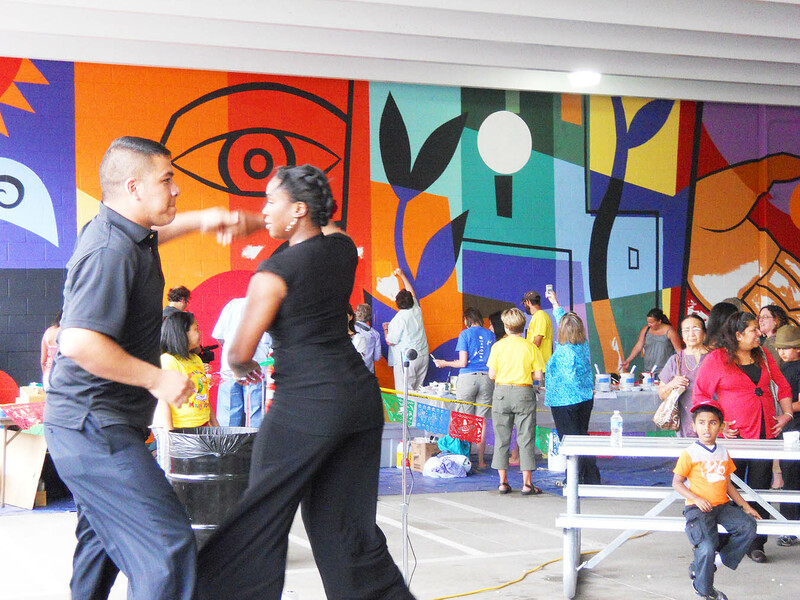 It was a big fiesta rich with diversity, singing, dancing and food. I worked with enthusiastic children, librarians and families of the remarkable Poudre River Public Library District who sponsored the project. I’m grateful for the support of the City of Fort Collins, Art in Public Places Program and several sponsoring agencies and businesses. I will long remember the hospitality of the people of Fort Collins. 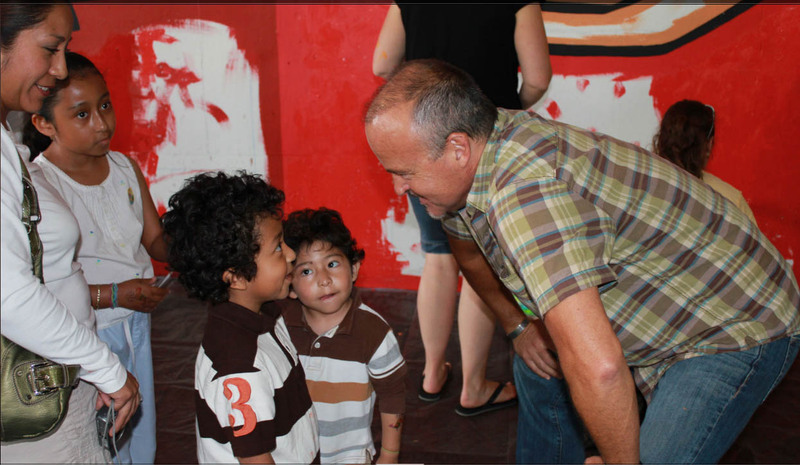 The music at the Museo de las Tres Colonias, the tamales and new friends. 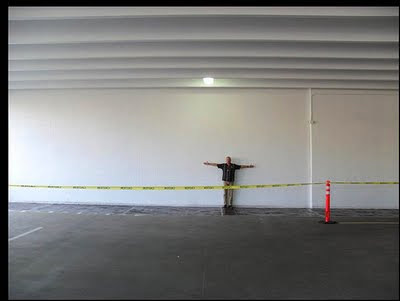 My deep appreciation to fellow artists, Bill, Karol, Terry, Chris, Lisa, Mary, Francisco and others who showed up on Tuesday to help me snap the lines, grid and outline the larger than life project. 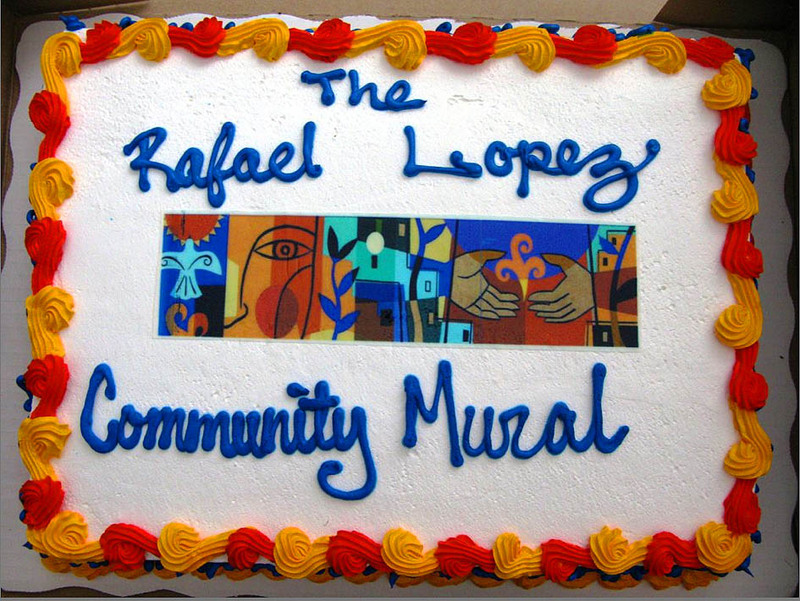 With their help and expertise we were able to prepare the mural for the community in just four days! 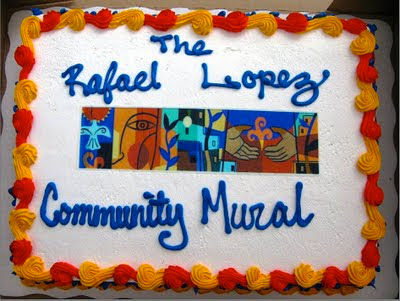 Special thanks to Irene for her organizational abilities, dedication, vision, and kindness. I am proud of the result that celebrates the library district’s outreach efforts to connect and enrich the lives of underserved groups. I hope the community of Fort Collins will enjoy the mural for many years to come. 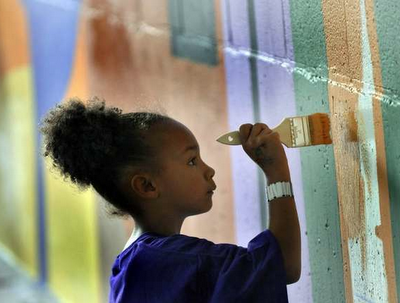 The captivating photo above of 6 year old Hallie Gordie painting the mural is courtesy of Rich Abrahamson and The Coloradoan. To view a dynamic slide show they created of this event click here. You can also watch news coverage of the event on Channel 9 in Colorado and meet some of the amazing kids who made it happen by clicking here .